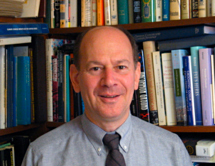 Jesse H. Ausubel is Director of the Program for the Human Environment at The Rockefeller University and Vice President for Programs of the Alfred P. Sloan Foundation. Mr. Ausubel helped initiate the Census of Marine Life, an international observation program to assess and explain the diversity, distribution, and abundance of life in the oceans. Beginning in 2002, he helped found the Barcode of Life initiative, which aims to provide short DNA sequences that identify all animal and plant species. He is the author or editor of more than 150 papers, reports, and books. His articles have appeared in Nature, Proceedings of the National Academy of Sciences (USA) and Oceanography.